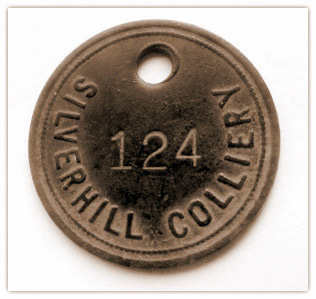 Peter Colloff - About 40 years ago, whilst undertaking building/renovation work in either Birmingham or Solihull, I discovered a mine Tallie from the Silver Hill Colliery disc number 124. 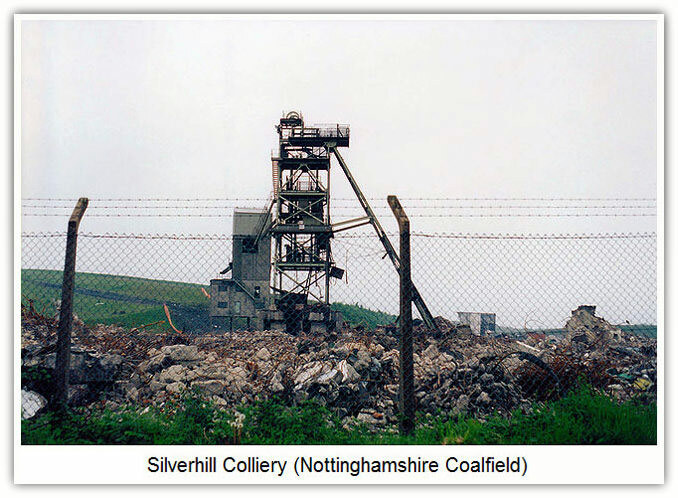 Collieries closed in 1993: Silverhill colliery (Nottinghamshire), situated 2½ miles NW of Sutton-in-Ashfield at Fackley and to the west of Teversal village. Production stopped on 30th October 1992, from the Piper, Blackshale and Yard seams, with between 817 & 711 men in the year and the colliery put on care and maintenance but the mine was finally closed and abandoned in March 1993 after 117 years. The pit was locally referred to as ‘Silver’. 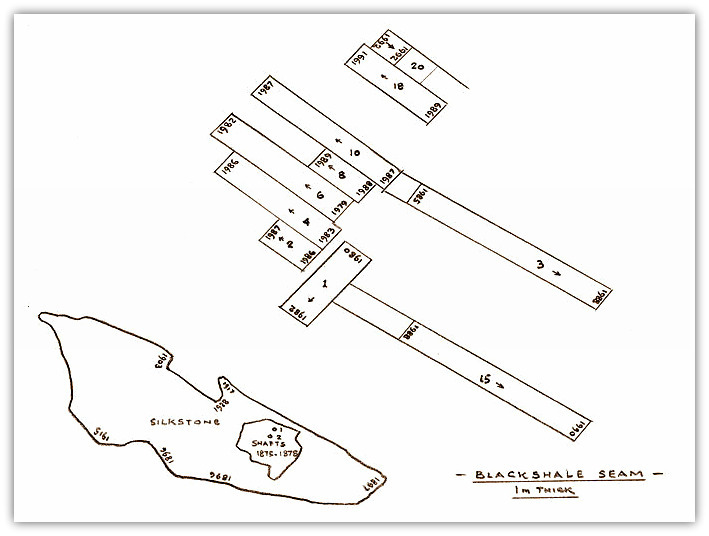 Two small 9 feet (2.75m) dia shafts were originally sunk off Stanley Lane at Fackley by the Stanton Iron Co under lease from the Countess of Carnarvon. Height above sea level was 552 feet (168m). 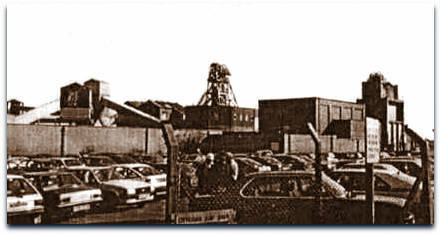 The colliery was first mentioned as Teversall in the Memoirs of the Geological Survey of Great Britain under Mineral Statistics of the UK for the year 1866 and owned by the Stanton Iron Co so it would appear that this was the first Teversal Silver Hill pit sinking (later referred to as Cooper’s shaft). Teversal (Butcher Wood) was probably started at almost the same time in 1866 when Whitehouse & Co began sinking 2 small shafts there at the side of a small copse called Butcher Wood to the NW of Teversal village. That pit was taken over by Stanton Iron Co on 12th October 1868. The DC shaft Silver Hill pit (named after the farm opposite. This farm was originally called Dunsill as shown on the Tithe map. The Dunsil seam would be named after this being discovered in 1780). 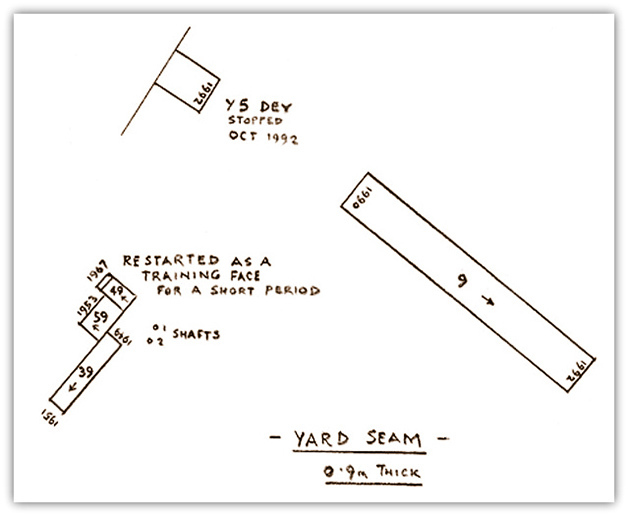 The shaft was sunk 87 yards (80m) down to the 5’ 2” (1.57m) thick Top Hard seam. This shaft would later be known as Cooper’s shaft (probably after the Big Butty running the pit) and become a pumping shaft, the water being used in the washery. The UC shaft was called Dunsill pit and sunk to the Dunsil seam 3 feet (0.90m) thick at 90 yards (82.3m) deep. Workings in Top Hard to the rise began in 1870 after headings had been driven between the shafts for ventilation and also to form the infrastructure of the pit. The dip of the seams was about 1in4 max. The Top Hard was taken first to the rise with the Dunsil being worked some 30 yards (27.5m) below following up behind. 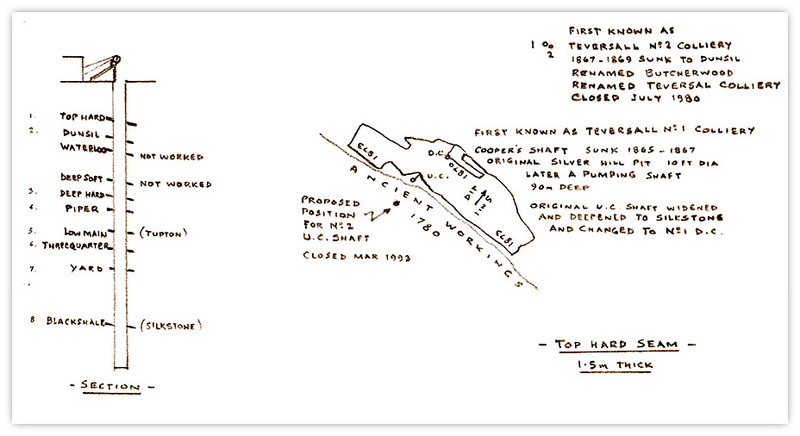 The significant date of 2nd February 1871 at both pits for the Top Hard is shown on the plans, for on that date a survey was done of all the workings, stalls and heads by Richard G Coke. The pits were collectively known as Teversal Collieries and owned by the Countess of Carnarvon. Probably this was the date when Stanton Iron Works Co Ltd purchased the pits as they were now listed as Teversall No1 (Butcher Wood) and Teversall No2 (Silver Hill). As a comparison at Silver Hill from commencement in 1869 some 4 acres 2 roods and 10 perches were worked to 24th June 1870 and from June 1870 to 2nd February 1871 there was a decrease in extraction to 3 acres 2 roods and 2 poles, possibly showing that men were being transferred to Butcher Wood pit as that pit was expanding at a phenomenal rate (see Teversal 1980). Silver Hill workings were bounded to the S by old hollows worked in the 1700s and to the N by a very large fault of 30 yards (27m) throwing the seams down to the north. The current workings were on a 1in4 gradient. 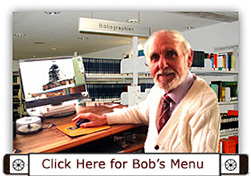 Royalties would have been paid on these figures calculated by Richard G Coke the Surveyor. At both pits naked lights (candles) were used for illumination and smoking was allowed underground until 1923 when flame safety lamps were issued to all the underground labour force. Workings in Top Hard at Silver Hill finished in 1875 and workings in Dunsil seam continued until 1876. Both seams were abandoned on Lady Day 1876. The plans were signed by William Clark as Manager and Agent and received by Thomas Evans Inspector of Mines. Preparation work was begun in 1875 to sink a new 15 feet (4.57m) dia shaft nearer to Stanley Lane down to the lower measures to act as a new UC shaft. 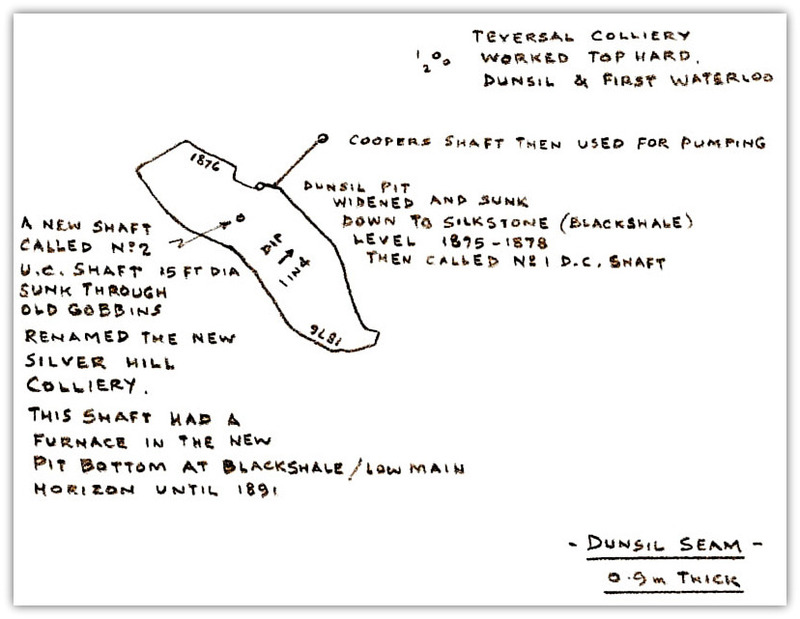 The old Dunsil shaft that was an UC shaft with an underground furnace was widened from 9 feet (2.75m) dia to 15 feet (4.57m) dia and changed to a DC shaft and sinking was continued down to the lower measures at both shafts from 1875-1878, the new No1 DC shaft to the Blackshale at 431 yards (394m), production commencing in 1881, total depth of shaft 446.0 yards (407.8m) and the new No2 UC shaft to the Threequarter seam at 356½ yards (326m), total depth of shaft 417.0 yards (381.5m) and an underground furnace 10 feet x 5 feet (3.3m x 1.5m) was built in the Low Main (or Tupton) pit bottom. It was stated that a suitable ventilation fan either run by steam or electricity was not available at the time. 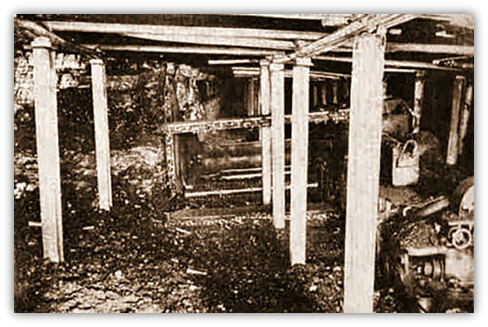 The furnace using 30 tons of coal per week shovelled by a stoker gave excellent ventilation results obtained at the time with 122,000 cu ft of air per minute at 1.4 inches (0.036m) water gauge and all the return air from the Silkstone seam (named Blackshale later) workings came in contact with the furnace although that seam was worked from the beginning using safety lamps the furnace would be used until 1891 when a ventilation fan was installed at the surface. It was a Capell fan 12 ft 6 in (3.81m) dia and 11 ft 6 in (3.50m) wide with double inlets. It was driven at first by a disused winding engine with 2 horizontal cylinders 26” (0.66m) x 60” (1.5m), adapted for the purpose. Another engine using one cylinder replaced that one later. This was the new Silver Hill colliery. Cast-iron tubbing was inserted for 108 yards (99m), however a shorter length was put in at each shaft originally but after heavy rain, water used to run over the top, so an extra 19 yards (17.3m) was added. There were 4 water garlands in the shafts and 13½ inch (0.34m) thick brickwork continued down from below the tubbing to the sumps. Both headgears were later made of wrought iron lattice, whereas the old pits would have had wooden headstocks of pitch pine. 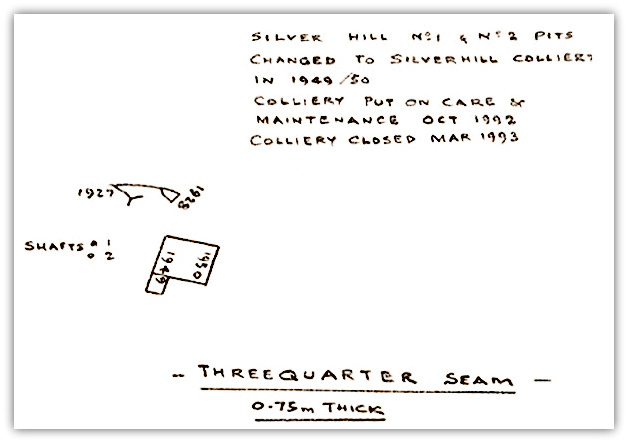 I assisted Percy Hett (2111), Surveyor at Silverhill in 1954 to measure down to the silt at Cooper’s shaft which was found to be at 80 yards (73m) deep, the shaft being sunk 87 yards to Top Hard. There was no tubbing in this old shaft. The water that was pumped from the shaft for use in the washery plant was arriving from ancient workings in the upper Meden Valley via the New Inn Level, a sough mentioned previously that was driven from 1666 to the mid 1700s from Huthwaite to Hardwick. The water had built up in the old hollows tapped by the old Silver Hill workings and then by a direct route to Cooper’s shaft. The amount of silt at the shaft was gradually increasing and was being drawn from the old workings via the suction on the submersible pump. It was imperitive to know the depth as the water table was lowered whilst pumping and agitating the silt which could have affected the pump by blocking the filter. However I believe that pumping was able to continue until the colliery was abandoned in 1993. Where the water is going now that the shaft has been filled and capped I don’t know but it may still be running in the sough. 62 bee-hive coke ovens were built in 1881 between Silver Hill and Teversall (or Butcher Wood). Ovens are shown in the above photograph. The coke was used at the company’s ironworks. Coal was raised at No1 shaft from the Black Shale or Silkstone seam from 1881 and 4 tubs on each of 2 decks for simultaneous loading and unloading. The coal tubs were unloaded by a side tippler onto a vibrating screen, the large coal falling onto a travelling band 75 ft (23m) long x 4 ft (1.2m) wide where it was sorted into the various sizes and thrown into trucks. Another moving band at right angles and a double vibrating screen dealt with Low Main coal from No2 shaft and produced large, nuts, slack and dust. The screening plant was manufactured by Plowright Bros of Chesterfield. A washing machine consisting of a pair of long wooden spouts or troughs for the Black Shale coal run of mine had water flowing through a series of wooden partitions or dams, sorting the coal from the dirt. 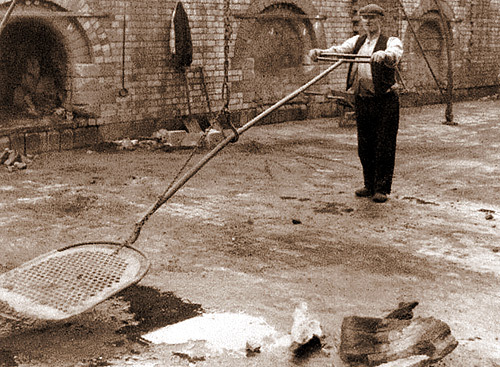 This was replaced by a Robinson washer which was more efficient, as the other system required settling ponds that overflowed and fouled the brook and used 8 times the amount of water as the new system. The old washer was still kept as a reserve. The coal destined for the coke ovens was delivered in definite proportions. Both coals were crushed in a Hardy Pick Co disintegrator for use in the coke ovens. A portable 3 throw pump to fetch water out of the Low Main dip workings was run by a dynamo on the surface and the electric cables taken down No2 UC shaft. The Low Main pit bottom was lit by incandescent lamps, followed shortly by lights on the screens also. The company spokesman remarked that had any satisfactory electric miner’s lamp been perfected and available for the opening of the pit then they would have been used. In August 1894 colliers were forced to accept a 10% reduction in getting rates, new rate being 1s 4d (6⅔p) a ton. In October 1894 they asked for 1d (less than ½p) a ton rise getting rate and were out on strike for 5 weeks, but returned on an amicable agreement. Open lights were still being used at the coal face and would continue to do so until banned in 1923 when hand held battery lamps and oil lamps were introduced. Between 1913 and 1917 the DC (Direct Current) electric plant was changed to AC (Alternating Current) and transformers were introduced underground and the main underground haulages adapted to work at the increased power. Pan-type jigging conveyors were used at the coal face and the coal was delivered into small wooden tubs holding about 10 cwt. Jib-type undercutting machines replaced the Diamond cutters in 1925. The main haulage roads were supported by straight steel girders and wooden legs. These were replaced using 12’ 0” x 10’ 0” steel arches punch propped between and surrounded with cover boards. 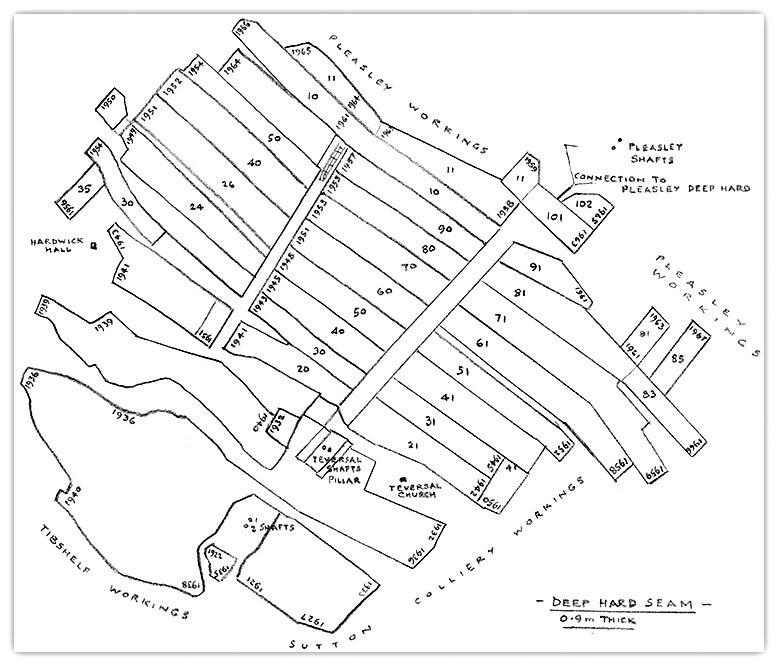 Around 1930 faces were straightened out and changed to longwall advancing panel work and rubber conveyors delivered coal from the face onto a gate belt which in turn loaded the coal into tubs at a gate loading point loading points in the gates that were laid up periodically to keep the maximum distance for the conveyor length to 300 yards (275m). The coal was then undercut later using AB15 cutters with gummers. 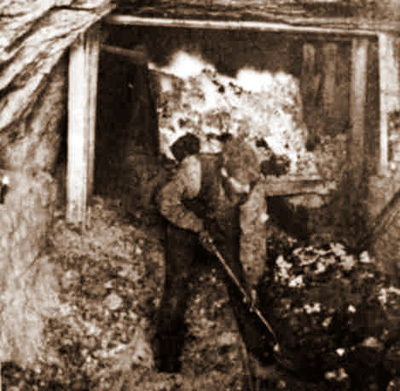 The coal was bored and fired and loaded out by shovel. Rigid steel props and 'W' bars replaced the wooden coal face supports although some wooden props were still used for certain conditions. The wooden tubs were replaced with larger steel tubs and ponies dispensed with. Manriding was introduced down Middle Dips. Slushers were introduced for stonework. Huwood power loaders were introduced in 1944 and later a multi jib Meco-Moore machine. In 1949 American style bord and pillar mining using short wall heading machines was tried down the Deep Hard North Dips, the coal being loaded out by Joy loader into shuttle cars that delivered the coal to the main loading point and hauled up the steep slope by 200hp endless rope haulage. The system failed after a relatively short time, probably due to the thinness of the seam at about 3’ 3” (1.0m). Several panels in the Deep Hard continued to be handfilled. At one time there was a paddy train laid on from Sutton Northern station via Skegby. Men from Teversal shared these baths and facilities, being in the same company, and were transported to and from Silverhill to Teversal and reverse at shift times by a push and pull steam saddle tank loco hauling an old windowless boarded up 1903 LNER bogie carriage.